Which, I'm pleased to report, was still a hit! 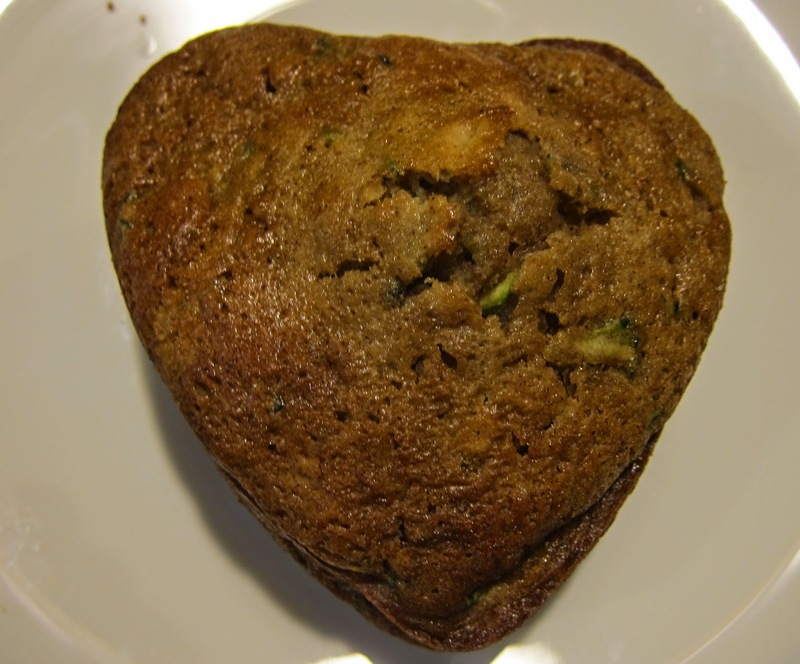 I doubled this recipe to make 24 muffins and a little heart-shaped zucchini cake. The muffins on the edges of the oven got a little over-toasted so we just used forks and scooped out the middles. This used up all my zucchini, including a little one that was growing on the zucchini plant my 9 year old brought home from a school project. I'll take half a dozen to work and I don't think it's worth freezing any as they will likely be finished within a day!